Last week I wrote about the new shawl club for The Knitting Goddess - you can read all about it here. 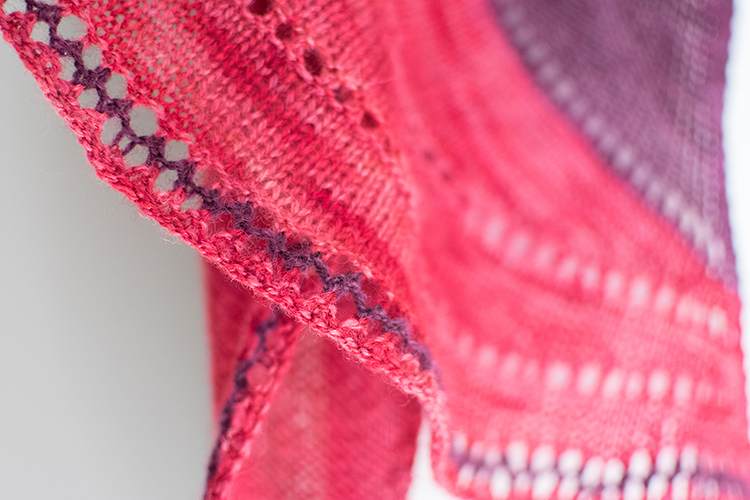 This months shawl design was inspired by shawl shaping, combining shapes and creating a beautiful wearable shawl with the two colours created by Joy. A half pi shape nestled within an elegant crescent shape, shaped with eyelets and short rows. 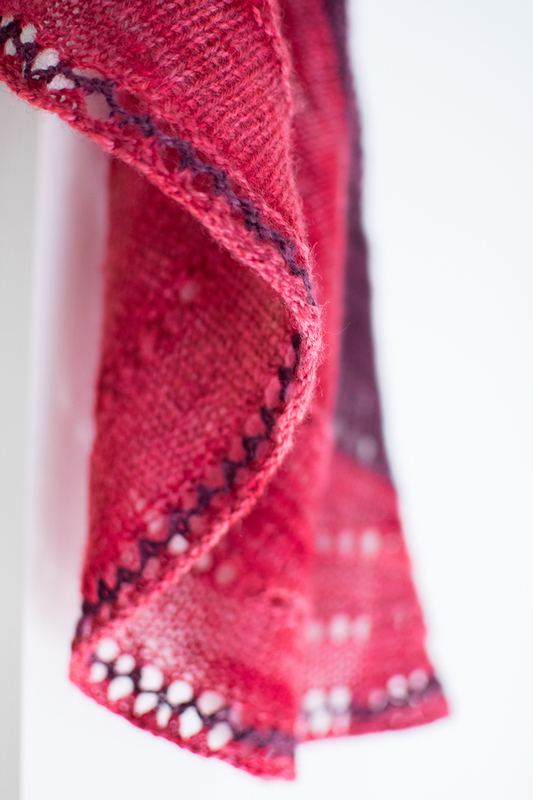 This shawl is relaxing and enjoyable to knit.